With rapid growth resulted from the introduction of new technology, and the availability of a wide variety of media platforms, the last few years have been an exciting time for the Digital Signage industry. The digital advertising is now identified as a highly successful method for consumer communication by the retail outlets, restaurants, gas stations, casinos, banks, airports, including companies and educational institutions. One of the major benefits of the digital display system is its ability of delivering relevant and dynamic message, which resonates with the target audience. 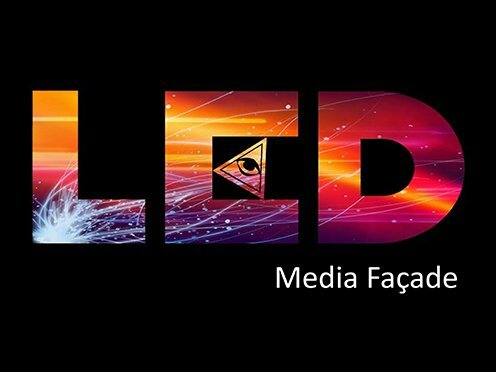 It is the onscreen displayed content designed for informing, educating and entertaining the audience, and ultimately serving the purpose of influencing the decision making and purchasing behaviour of the consumers that defines digital signage. Digital displays such as, LCD, LED and Plasma displays are now being widely used in the public and private spaces. Unlike the static signage, the digital display communications can use a variety of contents including text, image, video, audio and animation, and thus is the main reason behind its widespread use. The ability to change, modify and exchange content easily makes it the hottest technology around today. Furthermore, this new technology allows a proper demonstration of essential information at different specific locations at specific times, when paired with an interactive display medium. Furthermore, as compared to the static display, it offers a better ROI. 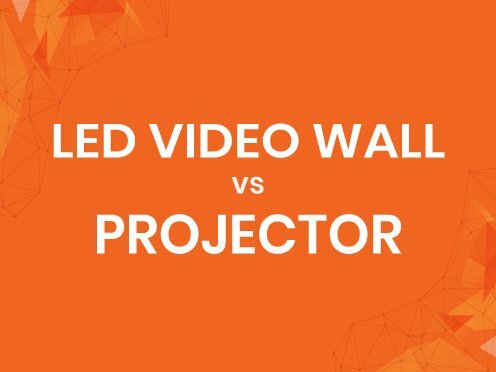 How Digital Signage Saves Cost? 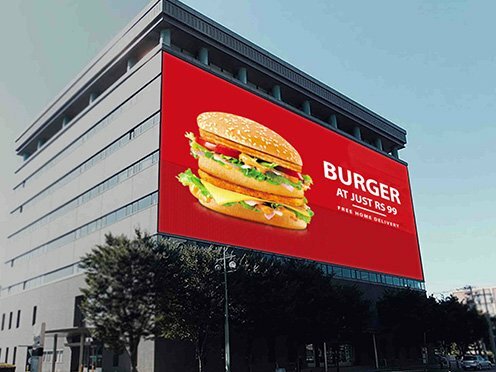 Digital display advertising is comparatively a lucrative option than print, media or static signage primarily due its low operating and maintenance costs. No doubt, this new form of branding and advertising method is quickly catching up the world over. 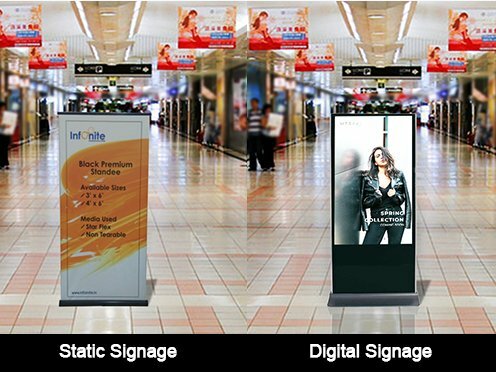 The recurring cost of printing materials for promotion of products, new arrivals and introductions, and the seasonal updates in products/services is far greater than the operational and maintenance cost of the digital signage. The upfront cost of implementing the digital signage is high, but in the long-run it offers regular savings for the business, which can be used towards developing the core competencies or meeting other organizational objectives for a profitable ROI. So, if you are still using the old, static displays for promoting your business, you are falling behind your competitors by a few years. That sounds alarming, isn’t it? So, ride the wave of change and success by embracing the new advertising technology.